Jack Ganssle works as an expert witness in matters related to embedded systems. Embedded systems are devices with microprocessors that aren't PCs. Examples include mobile phones, electronic medical equipment, and even smart toys. A modern car has many dozens of embedded systems to control the infotainment, engine, brakes, and much more. Embedded systems are particularly challenging as they are the synthesis of software - which can be millions of lines of cryptic code - and hardware that can pack over a billion transistors on a single chip. Power management, handling real-time constraints, making a system safe and secure, handling sensors and actuators, and dozens of other requirements means a typical system is an exquisite synergy of hardware and software (also called "firmware"); neither can be understood in isolation. 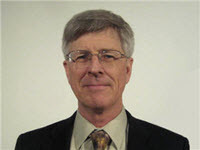 Voted the "Most Significant Embedded Individual" by Embedded Systems Design readers and winner of the 2014 ACE Award for contributions to electronics, Jack is uniquely qualified in both embedded hardware and software/firmware issues. He was the only embedded person on NASA's Super Problem Resolution Team, created by the Space Shuttle Columbia Accident Investigation Board to harness the expertise of highly-respected people from outside of the agency. His forty-five-year career has been entirely in the embedded world and has always bridged the hardware/software divide. Whether it's C code or digital circuitry, analog interfacing or an HDL, Jack has the experience and skills to help your team prevail. As an accomplished author (six books and over 1000 articles), Jack writes expert reports that clearly explain complex technology to non-engineers. His teaching skills, honed by 20 years of presenting seminars to companies and papers at conferences (including many keynote speeches), help the various parties understand the issues at hand. Jack has testified in depositions, District Court and before the ITC. He is located outside of Baltimore, MD, convenient to firms in the Washington, DC area. Expert witness in Segway Inc., DEKA Products Limited Partnership, and Ninebot (Tianjin) Technology Co., Ltd. v. Inventist, Inc., et al, ITC Inv. No. 337-TA-1007/1021 (combined) (in 2016 and 2017). The complaint was filed by Segway et al against a number of hoverboard suppliers. I was retained by Segway and testified in a deposition and at the ITC hearing. Expert witness in Keith Cavanagh and Leslie Cavanagh v. Bio-Dynamic Inc., and Coolsystems, Inc. (United States District Court District of Connecticut) Civil Action No. 3:14-cv-1938 (SRU). I was retained by the Cavanaghs. Expert witness in Certain Computing or Graphics Systems, Components Thereof and Vehicles Containing Same, ITC Inv. No. 337-TA-984. The complaint was filed by AST against a number of automotive suppliers. I was retained by AST. Expert witness in IPR IPR2015-00633 Toyota v. Cellport before the PTAB in 2015-2016. I was retained by Cellport to help defend their patent. Testified at deposition. Expert witness in Metso Minerals v. Conveyor Dynamics et al (Superior Court of the State of Washington No. 152007684) in 2015. I was retained by Metso to find the theft of trade secrets. Expert witness in Certain Personal Transporters, Components Thereof, and Manuals Therefor, ITC Inv. No. 337-TA-935 in 2015. This complaint was filed by Segway, Inc., against six Chinese companies. I was retained by Segway. Segway prevailed over five of the defendants and was purchased by the sixth! I filed a 770 page report, but the case settled prior to my deposition. As part of this I reverse-engineered the Segway Personal Transporter, as well as several similar units from the Chinese defendants. Expert witness in Pentair and Danfoss v. Hayward. District Court for the Eastern District of North Carolina Western Division, Civil Action 5:11-CV-459-F. I was retained by Hayward. Expert witness in Apple v. Nokia. Testified in a deposition and at a hearing before the International Trade Commission, Washington, DC, 2010. ITC 337-TA-704. I was retained by Apple, and reverse-engineered both the iPhone 3 and several Nokia mobile phones. Expert witness in Baxter et al v. Fresenius. Testified in a deposition and at trial in the United States District Court for the Northern District Of California San Francisco Division, 2009-2010. Case No. C 07-01359 PJH. I was retained by Baxter et al, and reverse-engineered both Baxter's and Fresenius's peritoneal dialysis devices. Expert witness in an employment discrimination matter in David Brenner v. Radix Systems. Testified in a deposition, 1992. Contact Jack via email, office phone (410-504-6660) or mobile (410-960-0707). A bio is here, and here is a complete CV.